Welcome to Blues Hair Workshop, hairdressers in Bradford for over 30 years. We are proud to be one of the North’s leading hair salons. At Blues Hair Workshop we only use the very best hair care products. We provide a complimentary hair analysis service to recommend the most beneficial products for your hair. Feel free to call into the Salon. 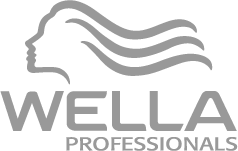 Please browse through our pages to find out more about our services, products and special offers. Here at Blues we know you will love the results we can achieve for you , and in return we hope you will become one of our loyal customers and benefit from our loyalty card offers.